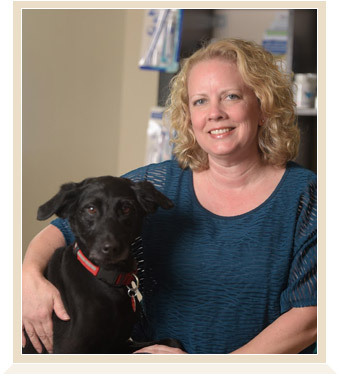 Jennifer Shagensky, wife of owner Corey Shagensky, has been the business manager at Progressive Animal Wellness (PAW) since its start in 2011. While relatively new to the veterinary field, animals have always been a part of Jennifer's life, both as pets and a part of nature. Prior to the birth of their two children, Jennifer was an environmental educator. In teaching field trips, she helped instill children with a sense of wonder with the natural world and the innate value of both animals and plants. 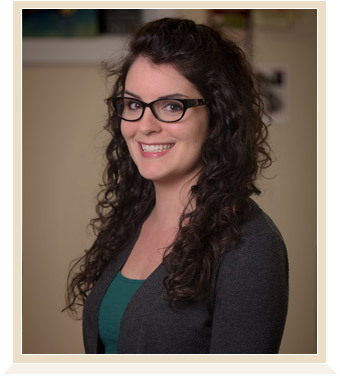 Additionally, Jennifer has a Bachelor's of Science in Biology from Bates College and a Master of Science in Horticulture from Cornell University. After graduating college, she worked in the infectious disease unit at Massachusetts General Hospital, starting as a technician and working her way up to lab manager. She also was a research assistant studying developmental biology at Brown University in the Department of Molecular Biology, Cell Biology and Biochemistry. Jennifer adds that she looks forward to helping her husband realize his dream of running his own veterinary clinic and seeing more animals and their owners in her everyday life. When she has a moment to spare from the joys and duties of motherhood, she enjoys the outdoors, reading, yoga, swimming, gardening, and spending time with friends and family. She lives in West Hartford with Dr. Shagensky, their two children, and Gertie the wonder dog. 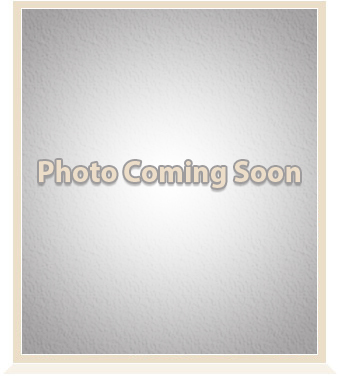 Lead Technician Jesse Sawallich joined Progressive Animal Wellness' team in August of 2012. Jesse has been drawn to animals from a young age, having at one point 3 dogs, 2 cats, 2 rabbits, 1 bird, a guinea pig and a Norwegian rat as pets. With her family's support, Jesse attended a vocational agricultural high school where she graduated with a major in animal production. Jesse graduated from the University of Connecticut, Storrs in 2002 with a degree in Animal science. While at UConn, Jesse not only focused on small animal medicine, she also spent a great deal of time working as a junior horse trainer. Immediately following college, Jesse spent 5 years working as a veterinary technician. For a brief 2 year period, Jesse explored a career in human medicine working as a Certified Clinical Hemodialysis Technician. Jesse's loves of animals quickly drew her back to the practice as a veterinary technician where she has remained, and now serves as the Lead Technician. Jesse now spends most of her time with her family which includes her husband, her 2 children, her cat Oliver, her adorable Chihuahua Dewey, and their guinea pig. Shelby O'Donnell joined the PAW team in 2013. From an early age she was drawn to animals and no matter what else distracted her throughout her life, they have always drawn her back. As a sophomore at Wheaton College in Norton, Mass in 1999, an animal behavior course she selected to fill a science requirement inspired her to switch from her chosen creative writing major and graduate with a major in Psychobiology. After a summer in Mystic Aquarium's education department, she left to work as a Special Education tutor in an Elementary school. She soon found that she missed working with animals and took a position as a Veterinary assistant. The veterinary field turned out to be a perfect fit and she has worked in the field ever since as a technician in both day and emergency practices. Acquiring animals is an occupational hazard for veterinary professionals, and along the way Shelby has adopted Harvey, a pitbull mix, a border collie mix named Affa, and two mischievous cats. She enjoys hiking with her dogs, sailing, reading, and working on various arts and crafts projects in her free time. Katie Giannakopoulos joined the Progressive Animal Wellness team as a veterinary assistant intern in April 2015. At the conclusion of the internship, Katie received her vet assistant certificate from Penn Foster. Katie is now at PAW full-time as a veterinary assistant and receptionist. Growing up in Vermont, Katie volunteered at her local humane society and was a member the Green Mountain Animal Defenders while at college. Katie graduated in 2011 from Champlain College with a bachelor's degree in international business. After a few years in retail management she decided to pursue a more emotionally rewarding career due to her love of animals. Katie spends most of her time with her husband, his extended family and her two guinea pigs. When she's not studying, she enjoys weekends in Vermont with her family, dinners with friends and exploring Connecticut. Kathy Sotolotto joined the Progressive Animal Wellness team in January 2015 as an intern from Northwestern Connecticut Community College veterinary technology program. Kathy had an interest in animals from a young age that led her to pursue a career in marine biology following high school. Kathy graduated from Southampton College of Long Island University in 2008 with a Bachelor of Science in Psychology. While attending college Kathy participated in multiple marine animal care internships. After graduating she spent a couple years as a research assistant for Long Marine Lab in Santa Cruz, California, where she studied marine mammal cognition and sensory systems. In 2010 Kathy attended St. Andrews University in St. Andrews, Scotland where she received a Master of Research in Marine Mammal Science. Soon after Kathy received a position as a marine mammal stranding technician and education coordinator at the Riverhead Foundation for Marine Research and Preservation in Riverhead, New York, where she discovered her passion for veterinary science and decided to go back to school to become a certified Veterinary Technician. 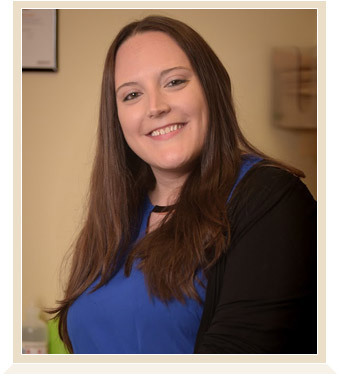 She completed Northwestern Connecticut Community College's veterinary technician program and in July 2015 passed the Veterinary Technician National Examination and became a certified veterinary technician. When Kathy is not busy at PAW she spends her time with her friends and family and her calico cat, Calista. Danielle Blesso joined the Progressive Animal Wellness team in May 2015. After high school Danielle was torn between veterinary medicine and culinary arts. After going to the Culinary Institute of America, Danielle made the decision to switch to her true passion, veterinary medicine. Danielle started in the veterinary field in 2014 before she began school to become a certified veterinary technician. Danielle graduated from the veterinary technician program at Northwestern Connecticut Community College in May 2016 and became a certified veterinary technician in August 2016. 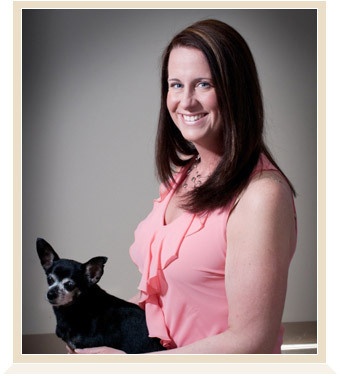 Danielle would like to specialize in surgery as well as continuing her education in the veterinary field. She enjoys being outdoors, hiking, fishing, kayaking and camping. Danielle also has kept her passion for cooking, baking and has recently found a knack for pottery. Danielle resides in Canton with her boyfriend and their two cats, Peter and Phil. Danielle Earle happily joined the PAW team in June 2015. 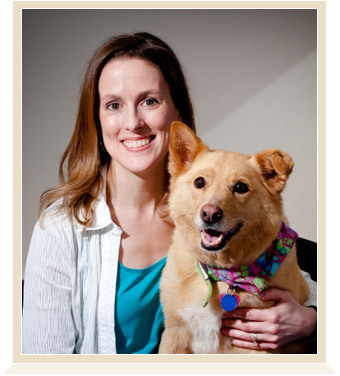 She holds dual Bachelor of Science degrees in Respiratory Care and Veterinary Technology from Quinnipiac University. After a 12 year career in human medicine as a Respiratory Therapist at Yale New Haven Hospital, she found her true passion in working with animals. Since becoming a veterinary technician in 2003, she has had some wonderful experiences working with small animals, exotic pets, reptiles, birds and some wildlife. She has even volunteered with a wildlife rehabilitation group. She currently resides in Torrington with her husband Ed and daughter Emma. Her fur family consists of Sydney, a mixed breed dog, Dutch, a German shorthaired pointer, Callie the cat, Porkchop and Brave the guinea pigs and a fish named Moonshine. Danielle enjoys biking, gardening, and spending time with friends and family. Amy Centrella joined the PAW team in July 2017. Amy’s passion for animal emerged early. She started her amateur career at a young age as the neighborhood pet sitter, caring for the neighborhood dogs, cats, guinea pig and even chickens. Although Amy studied mathematics at UVM and UConn, her love of animals drove her to pursue a career in the veterinary field. In 2003, Amy turned her first amateur career professional working as an assistant in a clinic in Western MA. 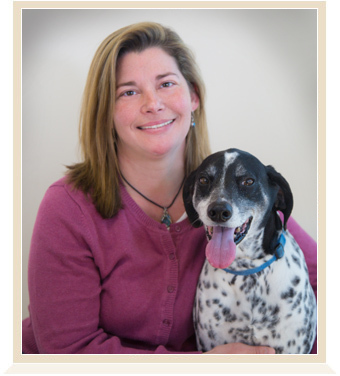 When life brought her back to Connecticut, she found PAW to be the right fit geographically and professionally. Amy now resides in Torrington with her husband and their 3 dogs – Charlie, Lola and Maggie and one kitty named Linus. Outside of work Amy enjoys live music, canoeing and travel. Bernadette Ossorio joined PAW in September 2018 with more experience in the veterinary interest than anyone else on the team. She has been in the vet industry for over 30 years. After brief career as a social worker she realized working with animals was the only path for her to have a truly rewarding and happy life. As a receptionist she has found her niche. She is able to put her natural empathy and the active listening skills learned while getting her Bachelor’s of Science in Social Work from Southern Connecticut State University to good use helping clients. Outside of work, Bernadette enjoys spending time with friend and family, especially her husband David of 31 years and their 4 legged-child, Brady, a 12-year-old Shih Tzu. Other interests include gardening and making basil pesto, nature, baking, and trips to the beach and National Parks. 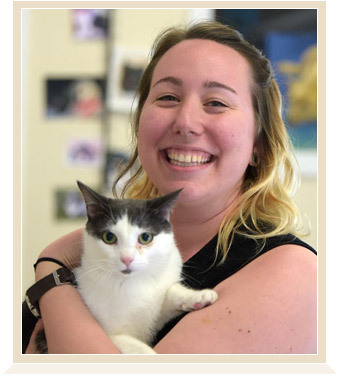 Courtney came to PAW in April 2018 with three years of experience and a Veterinary Assistant Certificate from Middlesex Community College. Although she received an Associated Degree in Business Administration from Manchester Community College, she realized her true aspiration was to work and learn in the veterinary world. Her interest in animal healthcare began at a young age. She has always believed the human-animal bond is unlike any other. She spent time volunteering at Our Companions Canine College and Animal Sanctuary in Ashford, CT. She has volunteered at Mystic Aquarium as an exhibit interpreter and a Frog Watch USA citizen scientist. She has gained experience in both general practice and specialty and emergency practice settings. Courtney presently nests with her boyfriend and fur children, a rambunctious cat named Castiel and a white leghorn rooster named Tilt. When she is not reading, she enjoys skiing, antiquing and globetrotting. Diana Chan joined the PAW team in 2017 as an intern from Northwestern Connecticut Community College. After completing her Associate of Science in Veterinary Technology, Diana passed the Veterinary Technician National Exam and became a Certified Veterinary Technician. She currently attends the University of Connecticut as an Animal Science major with a pre-vet concentration. Diana grew up loving animals and her parents always thought she would become a veterinarian. When Diana was 13 she began handling dogs in conformation dog shows. Her first jobs included pet sitting, grooming dogs in her home facility, and traveling to shows on the weekends and summers as an assistant to a professional dog handler. Her showing career eventually lead her to Australia where she handled dogs and got her first experience working in a boarding facility. 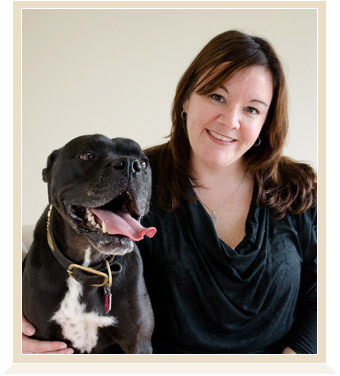 Following a short lived attempt at an art degree from Columbia College Chicago, Diana returned home to Connecticut to pursue a career in the veterinary field. She splits her time between work and study, while somehow still finding time to have fun with friends and family. Diana enjoys live music, painting, and playing with her three English Pointers.